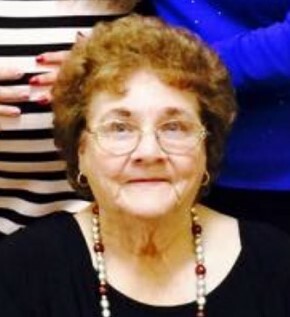 FRIENDSWOOD – Mrs. Rvell McDonald Enmon passed from this life Tuesday, March 19, 2019, in Webster. Born March 12, 1930 in Meridian, Mississippi, Mrs. Enmon had been a resident of Santa Fe and Hitchcock for most of her life. Rvell attended First Baptist Church of Texas City and worked for Lipton Tea in Galveston and Litton Industries in Alvin. She enjoyed fishing, gardening and gambling, especially the slots. She is preceded in death by her parents, Robert and Emaline (Taylor) Knight; daughter, Charlotte Reed; son, Robert Earl McDonald; husbands, Hugh Boyd McDonald, Jr., Melvin Enmon; brothers, Percy Knight, Willie Knight; sisters, Rena Robinson, Frances Knight. Survivors include her sons, Hugh Boyd McDonald, III and wife, Wendi of Santa Fe, Hugh Frank McDonald of Texas City; 10 grandchildren; 13 great-grandchildren; numerous great-great-grandchildren; numerous nieces and nephews. Graveside services will be conducted 2:00 p.m. Friday, March 22, 2019, at Hayes Grace Memorial Park Cemetery Committal Chapel with Mrs. Donna Yovan officiating. Visitation with the family will be from 5:00 – 8:00 p.m. Thursday in the chapel of Hayes Funeral Home, 10412 Highway 6, Hitchcock, Texas (409) 925-3501.